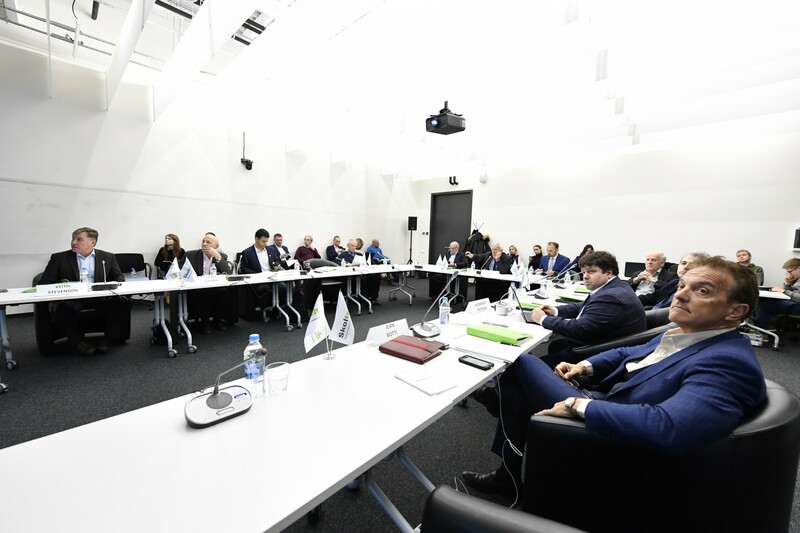 On 8 December 2017, Skoltech hosted the last Academic Council meeting of 2017, with the aim of discussing a Strategic Action Plan for 2018 – 2020. The Academic Council members provided their input, paying attention to Skoltech KPIs and main deliverables for the next three years. One more item on the agenda concerned the operation and compositions of the Academic Council Committees. The Academic Council Members and the Chairs of the Committees shared their vision on the Committees’ activities and proposals for their improvement. A detailed discussion was planned for the next meeting. Also, the Academic Council Members approved the new Educational Committee composition, as well as some minor changes to the compositions of two other Committees – the Committee on Research Programs and Projects, and the Committee on Appointment, Promotion and Tenure. The next Academic Council meeting is scheduled for 8 February 2018.